I have seen a couple variations on this theme for wing tip tension... I don't recall if I've ever seen another kite exactly the way I (and now Krijn) have done it, but as he stated, I can't claim it as an original idea. Tomorrow/friday I'll check if it flies the same as mine. Magnet has already flown. Later more, but for now: very satisfied about it! Looks super good. Hopefully we'll see a short video on her flight before she comes over the pond! Every time I see SS's I keep wanting to change my current color scheme. I may just need to make a few to get the color combos out of my system. **Krijn PM sent earlier, thanks! 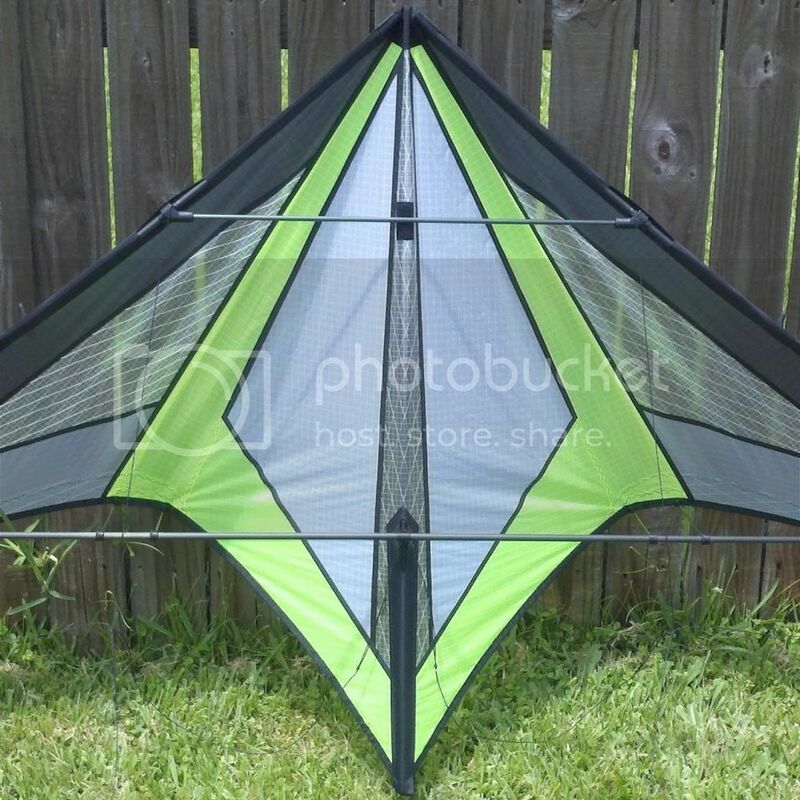 I already told my wife I'm thinking about building my first kite. at first she thought I was nuts(mainly cuz I never sewed in my life), now she is almost behind me on it. Her mom owns a quilt store and has $10k sewing machines, we are going to visit in July and I am going to soak her for every ounce of sewing info I can get! Do tell, how did the magnet fly? BTW: Keep flying as long as you want...no need to rush them over...its getting unpleasantly hot here now. Your Magnet is better than mine. In any way: I like it a bit better. Last weekend I tried it out at a small festival. It was first out of the bag . The precision is very good (it is just a small 220cm kite) and the Yoyo's are a bit faster (which I always like). I can do a lot of tricks, and so does this Magnet! Tazmachines - easy, flat and fast . CrazyCopter - a bit harder than on mine, but they are there. Cynique (I had to try) - yes (use firm inputs). A bit more noisy than my Magnet (may change after a few more flights). The appearance in the sky is striking. Very nice. The White looks LightGrey, I think we have to blame/thanks the FluorYellow for that. You did an amazing job on these kites- wonderful fun to follow this thread. I'm looking forward to seeing it fly. Yes, my car and tent (left). Waking up, grab a kite and fly! I just need a towel now! That looks incredible in the air! I don't know, it has got another feeling. I think I have to check the bridle. Maybe it needs a bit more weight. Yes, it did fly and all tricks are there, but all felt a bit less solid than my own Sixth Sense. Also very bad winds yesterday, very gusty. I'm not worried (yet), but confident it will fly as good as mine after a few sessions. ....and only slighly shop soiled. What a saga! Thanks for showing us this. Loved every minute of it and the kites look amazing.